On Thursday, March 1, 2007, I flew to Columbus, Ohio to attend the first annual Iron Age Legends Dinner. Shawn Perine and the moderators of the Iron Age Web site had worked together for over a year to bring the legends of bodybuilding together with a special awards dinner. Being a member of the Iron Age forum, I shared the same passion for an era of bodybuilding that had long been lost. I wanted to thank those who inspired me throughout the decades. The dinner was being held in conjunction with the Arnold Schwarzenegger Classic Expo Weekend. A section was dedicated at the expo for the legends to meet and greet their fans. Since I had always wanted to attend this event, it sounded too good to pass up. Past bodybuilding champions such as Bill Grant, Anibal Lopez, Dave Mastorakis, Joe Meeko, Steve Michalik, Leon Brown, Vince Anello, Sergio Oliva, and many others were scheduled to attend this historic occasion. Besides, I had a personal reason to be there. My good friend, Leon Brown was turning 60 years young that weekend. I did not want to miss his surprise birthday celebration. The dinner lived up to its billing as past and present champions gathered to share their common bond in bodybuilding. Leon Brown, one of the legends of bodybuilding’s Iron Age, was shocked when he heard host, Jeff Preston announce from the stage that it was Leon’s 60th birthday. As Jeff and everyone in attendance began to sing “Happy Birthday” to the Brown Bomber, a waitress walked over to his table carrying a large birthday cake. When the cake arrived at its destination, Leon could be heard muttering at how surprised he was while smiling ear to ear. The Brown Bomber was among his peers for this special occasion. However, Leon’s happy birthday celebration was cut short after he received a distressful phone call from fellow Staten Island bodybuilder Joseph Baglio (see photo). Joseph was also in Columbus that evening and called Leon from his hotel room to tell him that he was experiencing tremendous pain throughout his entire upper body. I also spoke to Joe and asked him if he thought his sudden pain might be heart-related. Joe said no but was unsure of what was causing the pain. Joseph Baglio was scheduled to work the Met-Rx booth at the Arnold Expo the next day. He was also planning to stop by the Iron Age Legends Dinner that evening to celebrate Leon’s 60th birthday. Sadly, Joseph Baglio never made it. Two years earlier Joseph Baglio had undergone a heart transplant due to acute cardiomyopathy and now was on the comeback trail. In early 2007, Joseph stepped onto a physique stage for the last time when he competed in the NPC Eastern USA, placing 5th in the Masters Class. Joe was ecstatic at this monumental achievement and his future began to take new hope. Alas, it was not to be. Joe called again telling Leon that he was in extreme pain. Leon Brown immediately left the Legends Dinner to rush Joseph to a local hospital in Columbus where he stayed by Joe’s side until he was admitted at 3:30 AM the next day. The next morning, unaware of the serious extent to Joe’s medical condition, both Leon and I attended the legends section of the Arnold Expo as scheduled. As Leon was signing autographs for his fans and I was exploding a hot water bottle for the crowd, Joseph Baglio was fighting for his life during an emergency surgery. It is still unclear to me what procedure he received in the OR, but Joseph remained in intensive care afterwards, never to regain full consciousness. That Saturday, I had an afternoon flight out of Columbus and called the hospital to see if visitation was permitted. I was told Joseph was in intensive care and was unable to receive any calls or visitors. On March 8, one week after Joseph Baglio first called Leon Brown for help, the 40-year-old bodybuilder passed away due to heart complications. I was saddened to hear about Joe’s passing. I had known him for over twenty years. Even though I did not agree with his philosophy towards bodybuilding, I’ll always remember Joseph as someone who always smiled, no matter how serious an obstacle was. At his funeral, he was remembered as a friend to many, a loving husband to his wife Debbie, and as an athlete who gave it his all. The following is an article about Joseph Baglio that was featured in Met-Rx Magazine (winter 2007) shortly before his death. Life was looking my way. In 2002 I won the heavyweight class at the Junior USA. In 2003, I took second in the super heavies at the Junior Nationals. I started preparing for the USA in Las Vegas in 2004. But in February of 2004 I began to have difficulty breathing. At first I thought it was the construction site I was working on, so I went to my family doctor who thought it was my asthma acting up and put me on Advair. Soon it became so bad that I could not even walk up two flights of stairs without feeling out of breath. So I told my boss I could not work in that environment anymore and decided to get myself more thoroughly checked out. I then called my brother who is a doctor and he advised me to meet him at the emergency room. After various tests, x-rays, and scans, the diagnosis was pneumonia and an enlarged heart. I was released with medicine and instructed to follow up with a cardiologist. My brother said he would find me one. The following week my wife and I were walking our dog on the boardwalk, and I began to cough and passed out. When I woke up I was on the ground. I stood up feeling a little disoriented and we went home. My breathing continued to get worse and I was afraid to sleep. The next morning I called my brother to tell him what happened and we met at the emergency room for a second time. The cardiologist that treated me determined I had cardiomyopathy. I was placed on heart medicine and was told to continue seeing him. My ejection fraction was about 32 percent, which means my heart was not pumping the fluids to my body correctly. Despite this, I continued to train for the USA and was invited to guest pose at a high school bodybuilding show. The night of the show I was not feeling well at all but I had made a commitment and posed anyway. After the show my friend Robby Lopez said I should not do the USA because I did not look like myself. When I got home I was in a great deal of pain from my hernia and having a lot of trouble breathing. I called my brother and was scheduled for emergency hernia surgery. That night after surgery I began to cough up blood. My cardiologist put me in the CCU of the hospital. I began to cough and passed out again. My body was holding a lot of fluid because my heart was pumping even less now. My weight went from 250 pounds to 280 pounds. A week later I was transported to Columbia Presbyterian Hospital. I was put on medicine and my water intake was monitored. It was decided at that time I needed a heart transplant. By the end of June my body was shutting down and my heart was getting worse. I would need an LVAD (Left Ventricle Assist Device) to help me while I waited for a heart. This device is designed to assist the heart in pumping the fluid to the rest of my body. The LVAD is the size of a CD player and it was placed inside my body with a tube that comes out of my stomach. It is then attached to a machine that is plugged into the wall. The doctors wanted me to walk around, so I had to attach the device to batteries to leave my room. A month later, I was excited to go home but I was in pain and scared. We had learned all we needed to know about the LVAD machine, such as how to use the hand pump if the machine stopped working, which was my biggest fear. Also, my wound needed to stay clean and my wife had to change the dressing three times a day. If it got infected it could cause more problems. Being at home, I was excited to see my dog Minnesota but scared that I may die. I had to have someone with me at all times in case the machine stopped. My life drastically changed. On October 21, 2004, at 2am, five months after being told I would need a heart transplant, the doctors called me with the news that a potential donor had been found. After hours of anticipation, it was determined that I was a match and I would immediately be taken into surgery. As I lay on the operating table, it felt like I was outside my body looking at someone else. When the operation was over, my family was told that everything went well and the heart was beating strong. The next morning I woke up to the doctors pulling the tube from my mouth, and I remember the feeling that I was alive and I had made it. I left the hospital nine days later with lots of medicine and instructions. I knew that I was supposed to feel happy that I was alive and I did, but there was a void in me from not being able to work out. I became depressed and sometimes angry that this happened to me. I went back to the gym ten weeks after operation, after being told I would never be able to train like a bodybuilder again. I did not like me. I felt like I was looking at someone else in the mirror. I knew it would be a long road back, but I was determined to make it. I pushed forward slowly and it seemed to fill the void briefly. But I was still yearning to be back on stage in competition. Meanwhile, I received a letter from the donor’s family asking how I was doing and telling me about the donor and his family. I was able to speak with the donor’s mother, who encouraged me not to let my dream die. “You were given this heart to keep living so do it,” she said. She told me not to worry about what others think and to just follow my heart. This encouragement was just what I needed. I felt the need to put my past behind me and go forward. After a year of going from gym to gym, I set my sights on training in a new atmosphere. I headed to Bev Francis’s Powerhouse Gym and began my journey to my new life. I knew the gym owner Steve Weinberger, from the bodybuilding shows I used to compete in. He supported my decision to re-enter competitions, and with his encouragement, I picked a show! I decided to enter the Atlantic City Bodybuilding Championship in the Masters class in September 2006 and the Eastern in November 2006. At this point, it was hard to remember how I used to look and it was not who I saw when I looked in the mirror. I was still excited that I was training for a show, knowing just 2 years ago I had almost died. When September came and I was preparing to go back on stage I got chills thinking about it. I was back!! I had a million emotions going through me. I was excited, nervous, scared, and happy all at the same time. Just before I was about to go on stage, I started to remember everything I went through – the passing out, the tubes I was attached to, my inability to walk and the hallucinations due to all the medications I was on. I thought of all the nights I wondered if I was going to die. And then I looked around and said to myself, “Look where you are. This crazy! You made it back.” I laughed to myself and started to savor the moment. Steve Stone announced me and told the audience my story and I received a standing ovation. I have received ovations before but this one put me on top of the world. I took fourth place in the Master Atlantic City and fifth place in the Eastern Masters. I finally feel that I am not on the outside looking in. I am right here and it’s great to be alive. When Joseph V. Baglio, a Staten Island bodybuilder, died two years ago of heart failure at a power lifters’ meeting in Ohio, it seemed at first to be a tragic, though not entirely unexpected, event. Mr. Baglio (known to all as Joey Bags) was, after all, not only in his 40s, a rather ripe age for the sport; he had also received a heart transplant, just the sort of medical intrusion that would have kept most other gym rats distant from their weights. The cynical side of things seemed partly confirmed last week when the authorities in Brooklyn announced the indictment of Dr. X, a Staten Island physician, who was charged with illegally prescribing steroids to Mr. Baglio and to more than 200 other clients between 2005 and 2007. Dr. X, along with a pharmacy in Brooklyn, was accused, among other things, of reckless endangerment for having given the dose of steroids to Mr. Baglio that prosecutors said eventually caused his death, at age 41. For nearly two years now, that death has been causing consternation to friends and family and to Mr. Baglio’s colleagues on the bodybuilding circuit. They have been left to wonder why this gentle, giant man — an athlete, a dog lover, an electrician — had turned to steroids when they so obviously were damaging to his health. Mr. Baglio’s story would seem to have extra poignancy after the news last week that Alex Rodriguez, the New York Yankees’ star third baseman, had taken steroids while playing with the Texas Rangers in 2003. The echoes here were as easily heard as the differences: Mr. Rodriguez had arguably taken drugs under pressure to protect a multimillion-dollar contract. Joe Baglio had taken drugs for a ripped torso and some minor-league bodybuilding trophies. Worst of all for Ms. Baglio is that her husband’s name is now connected in the public’s mind exclusively with steroids — a regrettable obsession but a fraction of his life. People don’t know, she said, that he was a baseball fan (of the New York Mets) and was almost comically in love with his pet St. Bernard, which he named Minnesota for his favorite football team, the Minnesota Vikings. In 2001, she said, he and Minnesota took first place in a pet-owner look-a-like contest at the Staten Island Pooch Parade at Clove Lakes Park. Born in Brooklyn, Mr. Baglio moved to Staten Island with his family as a toddler. He earned an associate’s degree and spent nearly 20 years as a union electrician working with the International Brotherhood of Electrical Workers, Local 3, in Queens. He had always been a gym rat but started bodybuilding seriously in the mid-1980s at gyms in Staten Island, Brooklyn and New Jersey. By the latter part of the decade, he had started to compete, traveling the region for meets on what is known as the National Physique Committee’s junior circuit. He didn’t do too poorly at them. 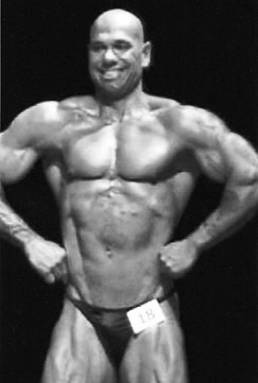 In 1999, for example, Mr. Baglio placed eighth in the superheavyweight class of the committee’s Junior National Championships. Three years later, he took first place in the heavyweight division. Along the way, however, his formerly narrow frame became so enormously muscular that some of his colleagues began to have doubts. Mr. Strong said that steroids were virtually unheard of when he first opened his Staten Island gym in 1976. “Even though my original gym’s members knew they existed, it was rarely discussed,” he said. Among the accusations facing Dr. X, who has pleaded not guilty, is that, according to medical documents, he prescribed steroids to Mr. Baglio despite the fact he should have known they could be damaging to the heart. Dr. X's lawyer said on Friday that Dr. X was not responsible for Mr. Baglio’s death. He also said that he had subpoenaed the autopsy report from Columbus, Ohio, adding that “it’s categorically false” that Mr. Baglio died because of Dr. X prescriptions. Mr. Strong, for one, remembers being shocked that Mr. Baglio continued competing even after the transplant, which he had in the fall of 2005. When he saw Mr. Baglio at a competition in Manhattan in November 2006, he was stunned. “Not in a million years would I ever think that Joe would be able to return to a physique competition,” he said. In 2007, Mr. Baglio flew to Columbus to compete at a meet with his old friend Leon Brown. Mr. Brown recalled how Mr. Baglio complained of feeling ill. Mr. Brown attended a dinner with his colleagues that night but called Mr. Baglio from the banquet hall. His condition had gotten worse. Mr. Brown took his friend to the Ohio State University Medical Center and stayed with him there from 9 p.m. until 3 the following morning. Later that day, Mr. Baglio died. Mr. Brown still trains and, at 61, is of the old school. He can bench-press 400 pounds and worries about the younger generation of lifters, who he says have substituted drugs for grit and sweat. He always says the same thing to “the kids” who corner him in the gym and marvel at his old man’s giant body. “What are you?” they ask. “I’m a guy on 35 years of straight training,” he says.